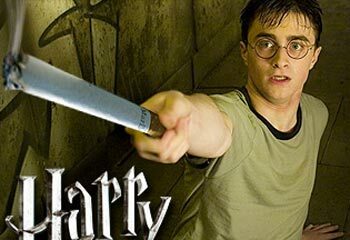 Daniel Radcliffe is reportedly smoking a pack of cigarettes a day on the set of the new Harry Potter movie. The now 18-year-old actor has portrayed the boy wizard in every Harry Potter movie to date. Friends are reportedly mortified and feel that Radcliffe’s new habit could ruin his clean-cut image. Where would the youngster pick up such a filthy, disgusting habit? On stage. Both of the above pictures of Radcliffe smoking were taken from the play Equus.